Climate Change is the problem of all. All countries should address the issues of climate change for a cleaner and brighter future of its people. Countries are expected to do their part to minimize global concentrations of greenhouse gases. Every member of the international community should respond and be familiar with the impacts of climate change. Singapore for example is dedicated to take part in this global effort to battle climate change. There is UNFCCC (UN Framework Convention on Climate Change) which serves as the basis of governments to address climate change. UNFCCC have been campaigning to encourage international participation and action. Singapore consented to the Kyoto Protocol in 2006. This is an agreement that seeks to reduce greenhouse gas (GHG) emissions by an average of 5%. It is said that this protocol is the first and important step towards a global reduction of emissions. 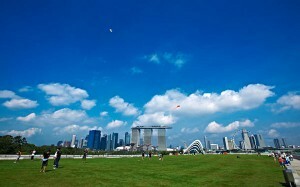 Singapore pledged to reduce its emissions by 16% below BAU (Business-as-Usual) levels in the year 2020. The pledge is legally binding. Singapore pledged in the condition that other countries should do it as well. Singapore joined the talks hosted by international organizations like the World Trade Organization, World Intellectual Property Organisation, International Civil Aviation Organisation, etc. Singapore also discussed actions hosted by regional organizations like Asia-Pacific Economic Cooperation and Association of Southeast Asian Nations. Aside from international engagements, Singapore is doing its best to implement national policies that can reduce emissions or climate change in general. Awareness of locals should be prioritized.